Gary Summons, der Kopf hinter UK2000, leitet den technischen Erneuerungsprozess für die kommenden UK2000 Szenerien ein, was bedeutet, dass die Xtreme Produktlinie sich dem Ende neigt. Der letzte “Xtreme” Airport wird Bournemouth sein, welcher Anfang nächsten Jahres erscheinen soll. Danach sind neben “refreshs” für Luton und Bristol, nur kleine Updates für 2019 geplant. Eine Neuentwicklung wird es 2019 nicht geben und kann vor 2020 auch nicht erwartet werden. Die Xtreme Umsetzungen werden jedoch weiterhin supported und zu kaufen sein. Der Schritt ist notwendig, um den eigenen, aber vor allem den Kundenwünschen gerecht zu werden. Dies sei besonders im Hinblick auf den Wunsch nach hoch aufgelöste Texturen mit dem “alten” System nicht mehr machbar. Wie die Änderungen konkret aussehen und welche Programme in Zuknunft genutzt werden, wird nicht erwähnt. Die neue Produktlinie wird nicht mehr mit superlativen im Namen glänzen, sondern sich aus der Stadt und dem Erscheinungsjahr zusammensetzten – z.B. Edinburgh 2020. During the past 10 years or so we have created most of the main UK airports. The Xtreme range has been popular and enjoyed by thousands of users. But it’s now time to move on, and the Xtreme range will slowly come to an end. The Last new airport made using this system will be Bournemouth Xtreme which is due Jan-Feb 2019, there will also be a refresh for Luton and Bristol plus a few updates during 2019 for this product range. It will continue to be sold and supported for many many years to come, but no new updates after 2020. Many users have ask the question “when are you going to increase resolution and use multi texture materials?” The move to higher demanding graphics is not without performance issues on the flightsim, but we believe we have reached the point that the old methods we use need to be replaced and modern PCs can cope. This is not a simple task, the current method heavily uses simple ‘raster’ copy and paste methods to create what we want, but this method does not scale to higher resolution. You need to take a ‘substance’ creation workflow, which is more time consuming with multiple steps. Very little of our old models or textures would work in this new workflow, so everything and we mean everything has to be made from scratch. This new system means taking longer to make a single airport than the older method, and the question is then, is it worth it?. It’s not worth it unless you create an optimised workflow for everything, every task has to be looked at and if necessary create new tools and solutions to increase productivity. All of this takes time, and we suspect NO new airports will be made in 2019 as we will have spend most of it making tools. Business will carry on as normal, the odd minor update will still happen to the Xtreme range, but any big airport changes or new airport/remake will not be made until at least 2020. What will be this new airport range be called? We are going to give up on using words like ‘Xtreme’, ‘mega’ or ‘ultimate’ it’s all getting very silly. 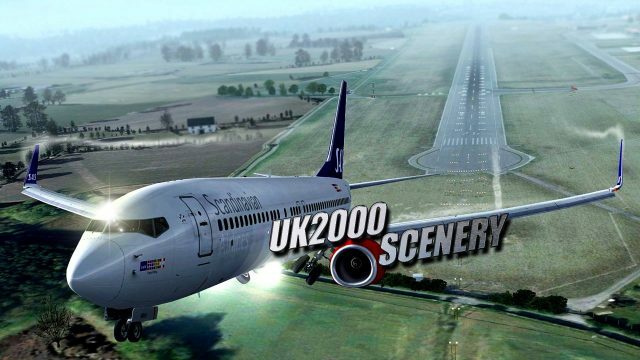 So it will just have the airport name and the year like “UK2000 Inverness 2020″ so you can clearly tell what year the airport was made and based upon.